National Accreditation Board for Hospitals and Healthcare Organizations (NABH) has decided to revamp the Entry-Level certification process for hospitals in order to make the process simple, digital, faster and user-friendly. 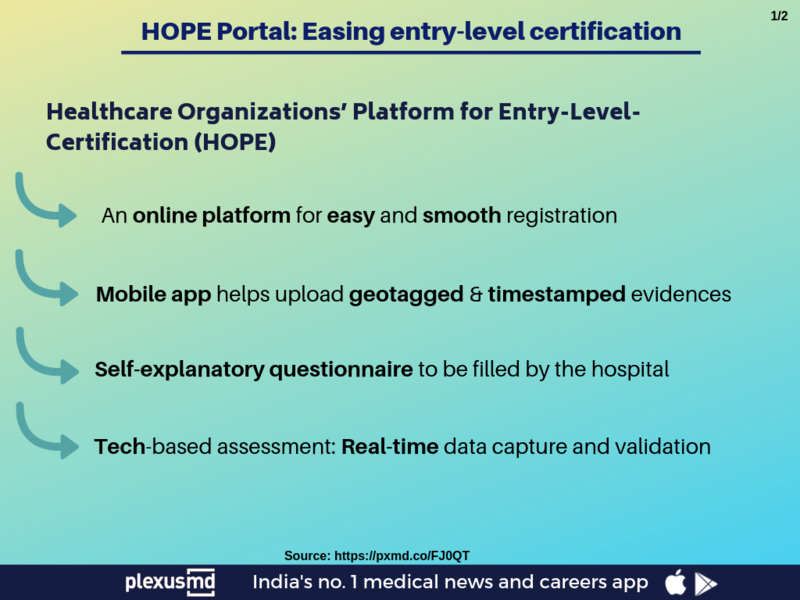 The revised procedure shall be managed through a new online portal named HOPE - abbreviation for Healthcare Organizations’ Platform for Entry-Level-Certification. 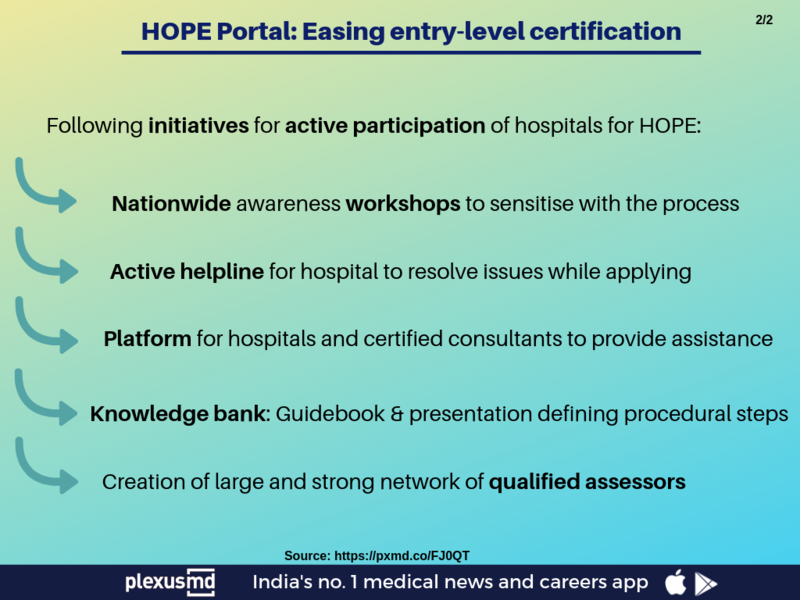 The HOPE portal shall focus on promoting quality at early stages by the enrolment of hospitals across the country that includes Healthcare organizations (HCOs) and Small Healthcare Organizations (SHCOs). The aim for enrolling HCO's and SHCO's is to speed up their NABH entry-level certification; helping them to avail benefits associated with Insurance Regulatory and Development Authority of India (IRDAI) and Ayushman Bharat. The IRDAI has made it mandatory for hospitals to ensure quality healthcare ecosystem through NABH Entry-level certification process; also initiating cashless payment to patients under insurance coverage. NABH in collaboration with QCI has partnered with Indian Medical Association (IMA), Patient Safety and Access Initiative of India Foundation (PSAIIF), Consortium of Accredited Healthcare Organizations (CAHO) and other stakeholders for spreading awareness about the revamped process.